Renault has launched a new version of the Twingo to sit at the top of the range. 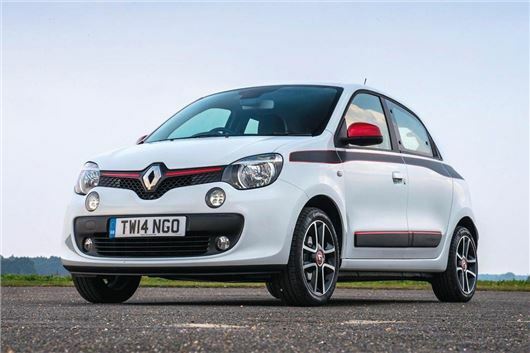 The Dyanmique S gets sportier styling than other Twingo models and is available to order from £12,545. Externally the Dynamique S gets the Sport Pack, which was previously a cost option, along with 16-inch alloy wheels, matt black decals and red and white ‘touch pack’ as standard. Power comes from a 0.9-litre TCE petrol engine with 90ps, giving official economy of 65.7mpg and emissions of 99g/km, meaning free annual VED. Three colours are available – crystal white, diamond black or flame red. First deliveries are expected in April 2015.